We just got our first Google Home. At first I was skeptical that it would be that useful since I always have my phone at the ready, but I was dead wrong. I love that little pod! I usually use it to set a timer, check the weather, or play music. However, I recently discovered Google Home and Disney have partnered to provide several Google Home Disney games you can play. We have been having a lot of fun with this feature. 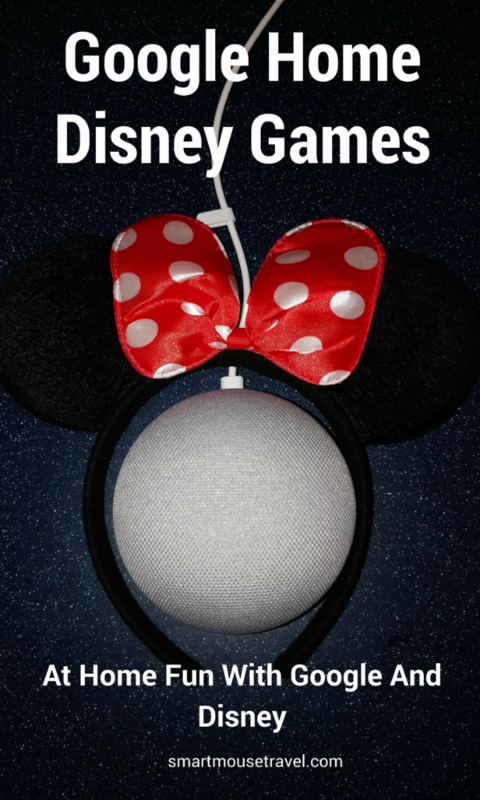 There are several games that you can play on Google Home (check under “entertainment” for a more complete listing), but today I will focus on the 5 that are from Disney. As of August 2018 we have found these Google Home Disney games: Belle’s Castle Adventure, Cars Adventure, Mickey Mouse Adventure, Star Wars Trivia, and Toy Story Freeze Dance. Belle narrates the castle adventure. She tells you that to combat rainy day boredom the Beast has put together a scavenger hunt around the castle. Each time you find a clue you must complete the rhyme to find where to go next. On your way to the destination Belle asks you if you would like to take the long way or a short cut. Each route has some cute interaction with the Google Home. There is a bookmark in each book found throughout the scavenger hunt with letters to spell the final destination. It took us about 10 minutes to complete the scavenger hunt. Lightning McQueen and Tow Mater are the main narrators of Cars Adventure. There are two game options: Race Through Carburetor County or Route 66 Hide and Seek. In Race Through Carburetor County you help Lightning McQueen in a fun race against Cruz Ramirez with Mater as your crew chief. Lighting asks you which way to go and how to best handle obstacles along the way to win the race. The game of Route 66 Hide and Seek asks you to choose different spots around Radiator Springs to look for fellow Cars characters. Lightning McQueen tells you that the game is played in the dark, so you must listen closely to find the hiding friends. It took us about 10 minutes to play Route 66 Hide and Seek and about 7 minutes to play Race Through Carburetor County. The Disney Princess game has several princesses to choose from when you start to play. You are told to choose either Belle, Cinderella, Tiana, Ariel, or Jasmine. Once you pick your princess she will generally ask a question about yourself. After answering the question the princess will offer two options. The first option is to tell you a story and the second option is to go on an adventure or solve a mystery. During the story the princess will periodically check and see if you want her to keep telling the story or would like to quit. In the adventure games, your chosen princess will ask for your help in making choices to solve the mystery or finish the adventure. Our favorite Disney Princess activity was Ariel’s game. Ariel describes human items to you and then you have to correctly name them. Some were easy and some a little more challenging to guess. It took us about 7 minutes to solve Belle’s mystery game. The stories seem to run longer and last about 10 minutes. In this Google Home Disney game Maui needs your help to find Tamatoa’s cave to retrieve his hook. Maui gives you choices and you pick the path to the cave. Before entering the cave with Moana, Maui tells you to pick a shell and listen. Each shell color plays a different song from Moana. At the end of the song Maui asks if you would like to listen to a different shell. If so, another song is played otherwise the game is ended. It took us about 8 minutes to play Maui’s Music Game with one song and about 12 minutes with two songs. Mickey Mouse has a magic show to perform across town, but he overslept! Now he needs your help to navigate the city and make it to the show in time. Once you arrive at the magic show Mickey asks you to be his assistant in the show. Mickey Mouse then performs magic tricks with your help. It took us about 7 minutes to play Mickey Mouse Adventure. If you follow the Smart Mouse house you may have noticed we are super into Star Wars so we were pumped to play this trivia game. There are two play modes: Survival Mode or Story Mode. Survival Mode asks you rapid fire Star Wars trivia questions and continues until you miss one. At that point Google Home asks if you would like to try and beat your score. In story mode the Google Home plays audio clips from the Star Wars movies. Then you are asked a series of questions from that section of the movies. For example, we were played a clip of when Luke and Uncle Owen buy R2D2 and C-3PO from the Jawas. We then had to answer several questions from before and after that part in A New Hope. Star Wars Trivia operates differently from the other 3 Google Home Disney games. The survival mode only lasts as long as you keep answering questions correctly which can be a short or long time depending on your expertise. Story Mode is a longer game. We spent about 15 minutes playing one night and then when we played again it started where we left off. We played several more minutes but did not reach the end of the game. After a couple of practice freeze dance rounds you are faced with the “real” test of freezing as Bonnie or her mom enters the room. If you successfully freeze then you are given the Toy Oath to officially become one of the toys. It took us about 10 minutes to complete Toy Story Freeze Dance. 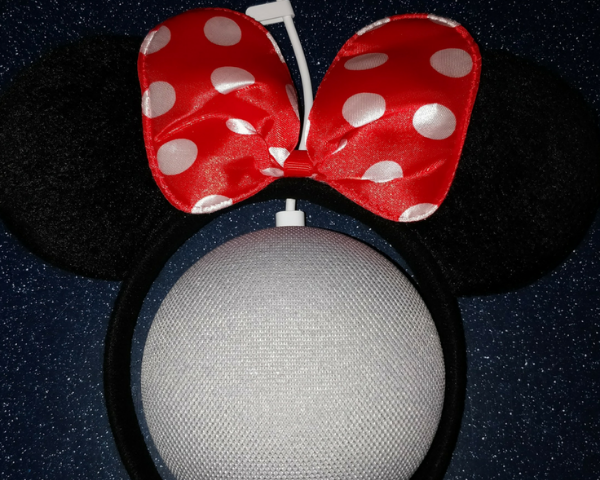 These Google Home Disney games are a lot of fun, and we have spent a considerable amount of time goofing around with them. The Star Wars Trivia game is best suited for older elementary school age kids through adults. Belle’s Castle Adventure, Cars Adventure, Disney Princess, Maui’s Music game, Toy Story Freeze Dance, and Mickey Mouse Adventure are fun for younger and older kids. Have you played some of these games? What did your family think? 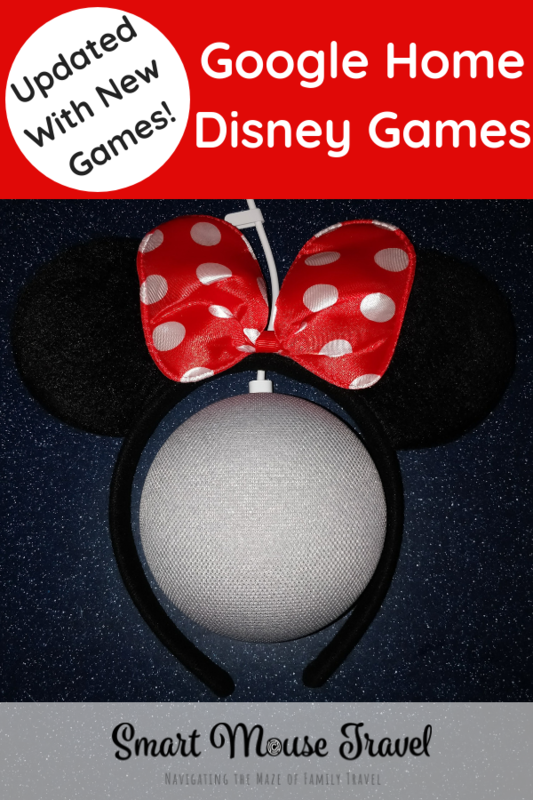 Did you find any other Google Home Disney games? If so, leave a message in the comments so I can add it to this list! Awesome, I have looked at the Google home a few times and wasn’t sure whether I should get it. I think this has talked me into it. I had no idea that there were Disney games on Google Home. This is a big selling point!